TOFFEE-DataCenter provides dual licenses, designed to meet the usage and distribution requirements of different types of users. TOFFEE-DataCenter is free software; you can redistribute it and/or modify it under the terms of the GNU General Public License Version 2, and not any other version, as published by the Free Software Foundation. 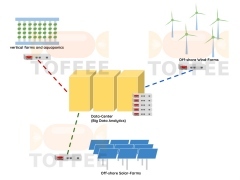 TOFFEE-DataCenter is distributed in the hope that it will be useful, but WITHOUT ANY WARRANTY; without even the implied warranty of MERCHANTABILITY or FITNESS FOR A PARTICULAR PURPOSE. See the GNU General Public License for more details. You should have received a copy of the GNU General Public License along with TOFFEE-DataCenter; see the file COPYING. If not, write to the Free Software Foundation, Inc., 59 Temple Place - Suite 330, Boston, MA 02111-1307, USA. This license is applicable exclusive to the TOFFEE-DataCenter components. 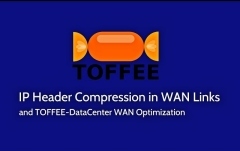 TOFFEE-DataCenter may bundle or include other third-party open-source components. Kindly refer these component README and COPYRIGHT/LICENSE documents, released by its respective authors and project/module owners.